New Section! New Floor Plans! SaddleCreek is the newest Master Planned community in Georgetown, TX that provides people from all walks of life with a lifestyle like no other. SaddleCreek truly lets you have the best of all worlds by combining a perfect location, fantastic local and community amenities, and beautiful new homes for every stage of life. SaddleCreek features an amenity center complete with pool, weight room, kitchen, and lounge. If relaxing and enjoying the day with family and friends sounds like your cup of tea, then you will enjoy our sundeck and bar-b-ques. Feel like getting your blood pumping? We have frisbee golf and hike and bike trails that feed into the illustrious Georgetown trail system. Conveniently located west of SH 130 in east Georgetown. Residents of SaddleCreek enjoy a desirable location near major thoroughfares and close proximity to major employers, such as Dell, Emerson, IBM, and Apple to name a few. Additionally, two major medical centers, Baylor, Scott and White and Seton Williamson County are within two miles and an on-site elementary school, allowing your kiddos to walk to school. SaddleCreek offers a vibrant local community with a rich history, with only a short commute to the area’s best shopping, dining, and family entertainment. 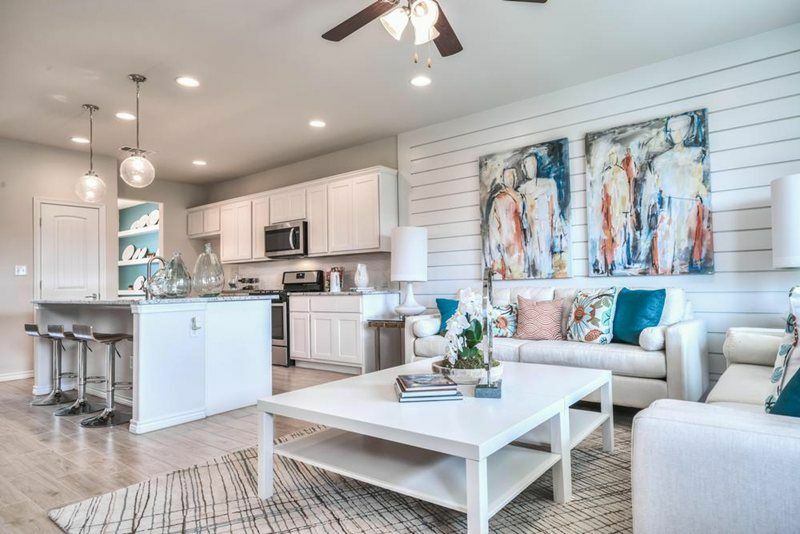 Life in SaddleCreek allows you to enjoy Georgetown’s charm, abundant natural beauty, and historic downtown while still remaining close to Austin, TX, the music capital of the USA. Take advantage of the vibrant music scene, entertainment options and the world-famous culture of Austin. At SaddleCreek you never have to compromise; relax in your comfortable home, away from the hustle and bustle of the busy city. Let the sublime beauty of Texas and the blooming wildflowers soothe your spirit. Now selling new floor plans in a new section. Secure your homesite today!